“I wish I knew how to knit socks,” “I’d love to be able to knit my own socks,” “wow, did you really knit those socks yourself?” “do you teach sock knitting?” are comments and questions I frequently hear whenever I run one of my darning classes or workshops. 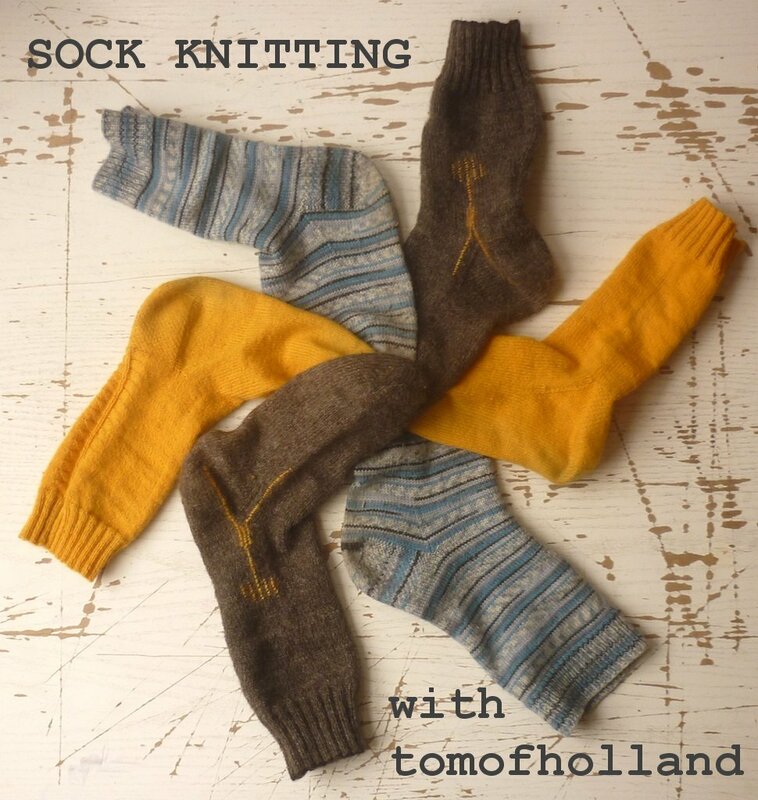 I’m happy to announce that in April, I will start my first sock-knitting short course! This sock knitting course is aimed at the intermediate knitter, who already knows how to cast on, knit, purl, increase, decrease, and cast off. You may have knitted a sweater, but haven’t tried knitting in the round yet. 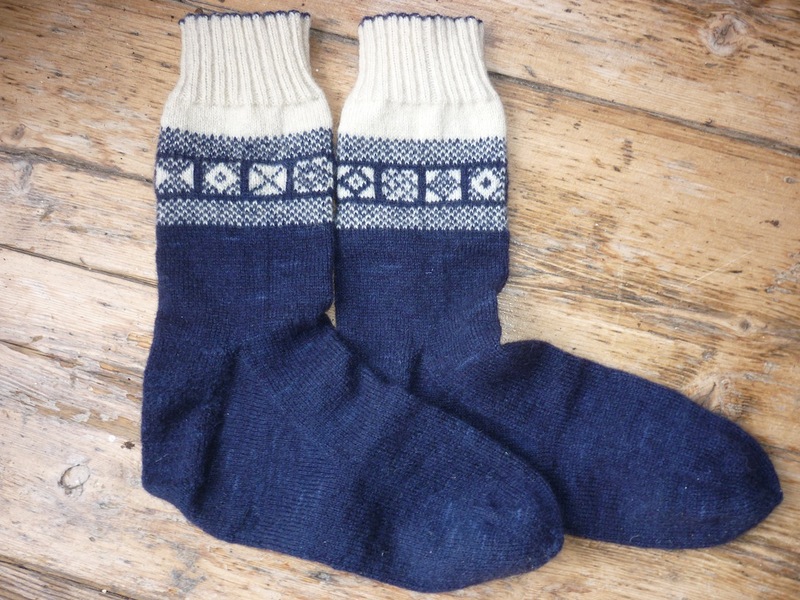 I will teach you how to knit basic, well-fitting socks on double-pointed needles from the cuff down. During the first session (Sunday, 14 April, 11am-1pm), you will learn how to knit in the round on double-pointed needles (also known as DPNs); a suitable cast-on technique for socks; and taking the right measurements. Then, when you get home, you can be confident to cast on the right number of stitches to knit the cuff and the leg. During the second session (Sunday, 21 April, 11am-1pm), you will learn how to turn the heel. Although I’ve knitted many socks, I still find turning the heel a small miracle. I will also show you how to decrease for the toe. Again, I’d expect you to do some home work, and knit all the way to the toe. During the third session (Sunday, 28 April, 11am-1pm), you will learn how to graft the toe closed. This technique is sometimes known as Kitchener stitch. We’ll discuss some common sock knitting pitfalls and you’ll leave with the confidence and knowledge to knit sock number two, three, four, and more! Sock wool and a set of double-pointed needles are included in the price, as is a handy cheat sheet to refer back to techniques and to help record all the necessary numbers to continue your sock knitting adventures. All this for a mere £65! the classes are held at Super+Super HQ, Brighton. You can sign up by following this link. Socks with a Sanquhar-inspired design.